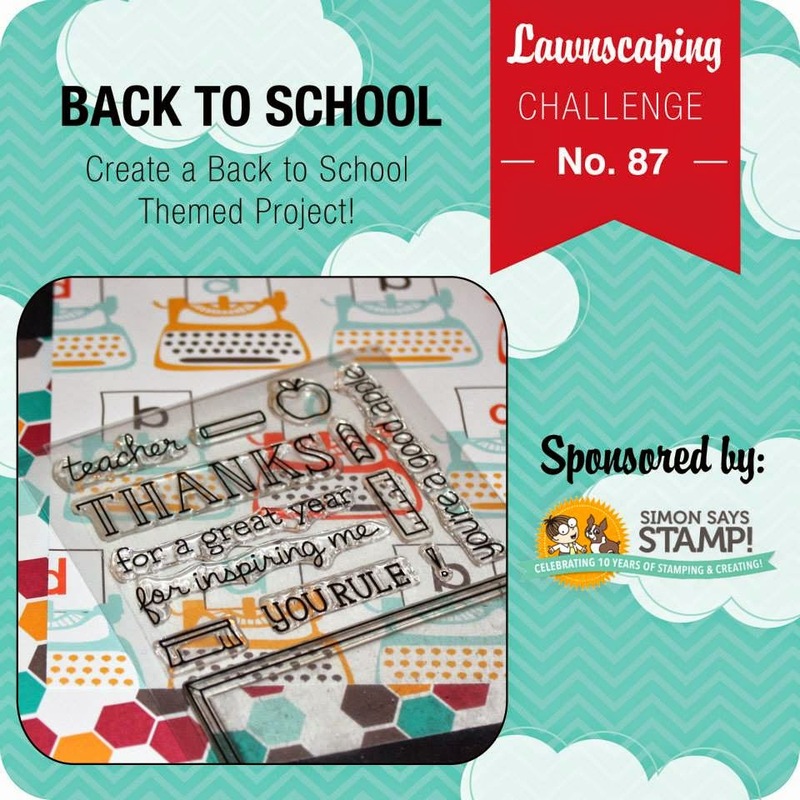 It's time for all of those back to school themed projects now that August is here! I used this as an opportunity to color some un-inked stamps in my Lawn Fawn stash. The latest Lawnscaping Challenge is "Back to School" so I created some fun little lunch box cards. 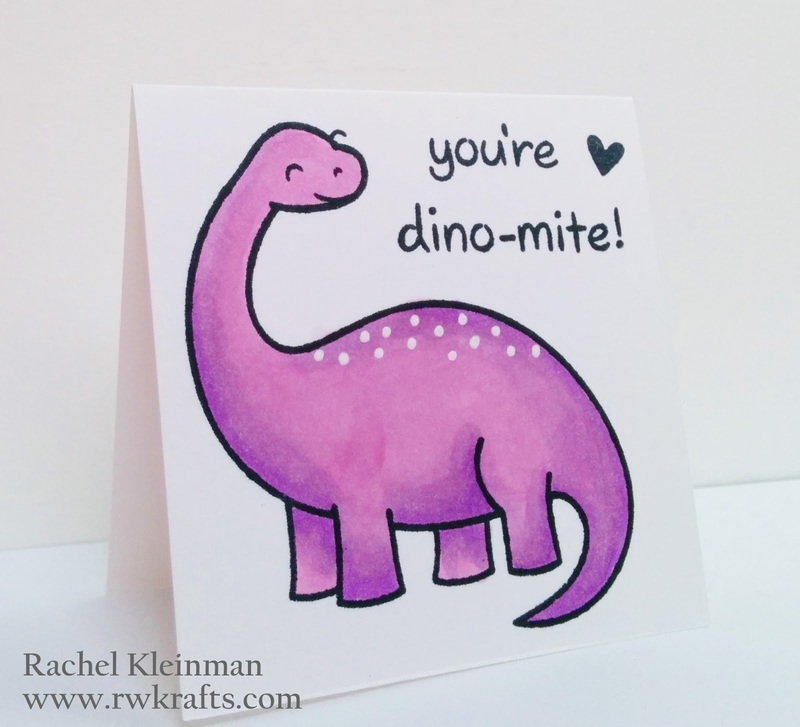 These cards are meant to be little pops of encouragement for the kids in the middle of their school day. Each card measures 2.5" x 2.5" so they easily tuck into little pockets! 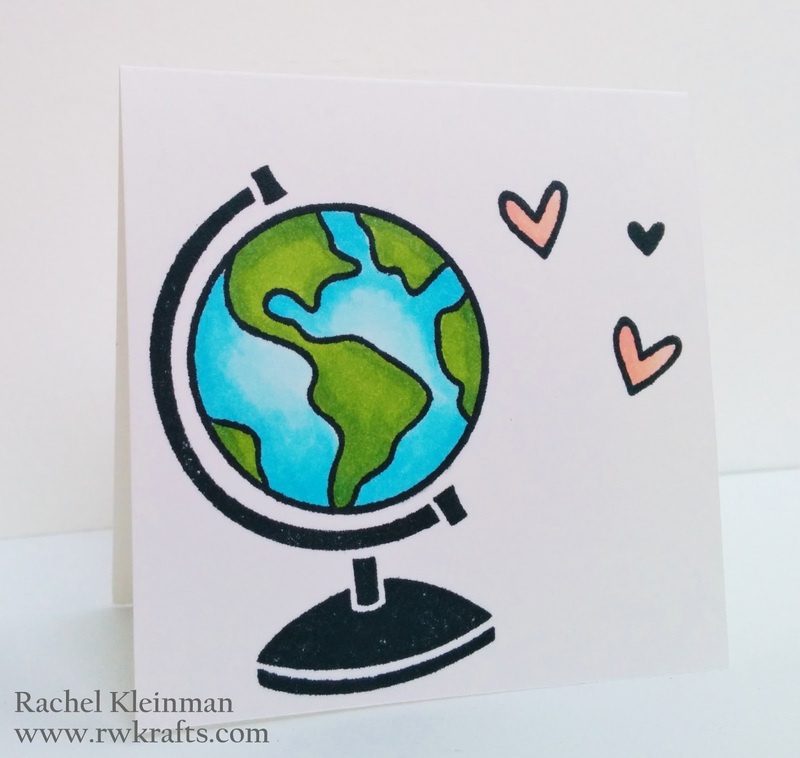 This is about as 'school themed' as I can get :) I used Lawn Fawn "Wish you were Here" set and colored the globe and hearts with Copic markers. I looove this dinosaur, it just reminds me of the 'Long Necks' in The Land Before Time. Such a fantastic movie! Maybe this little dino is reaching for some nice green Tree Stars ;). This is from Lawn Fawn "Critters From the Past" and also colored with Copic markers. Now this adorable little stamp is far from un-inked... I love it! You may even recognize it from my post yesterday. 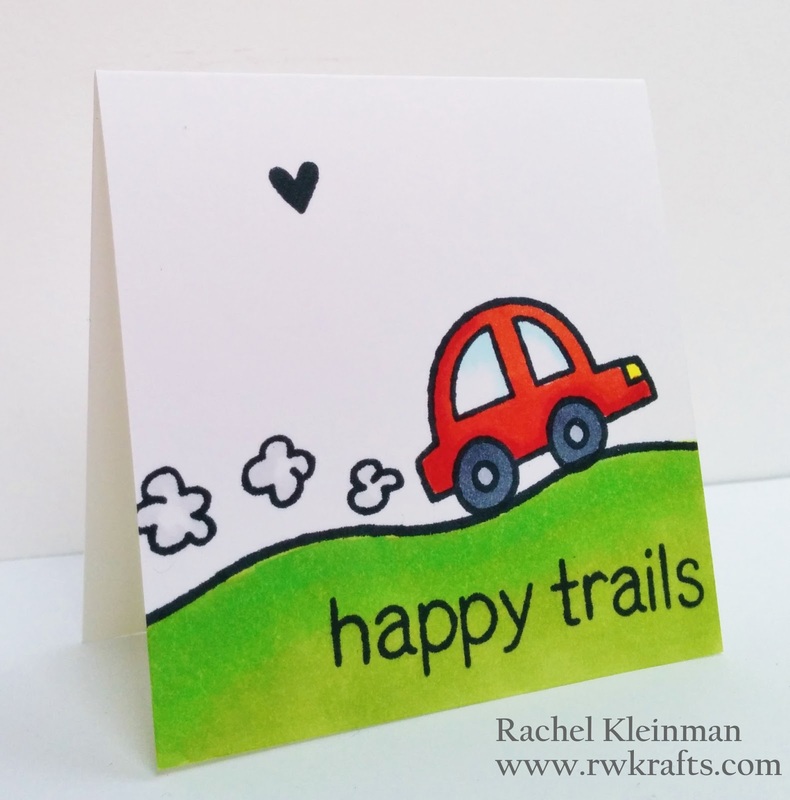 This is my favorite of Lawn Fawn's mid-sized sets, called "Happy Trails" and is also colored with Copic markers. Enjoy your Tuesday! Right now I'm in a car with Donna driving to Charleston, SC! I can't wait to visit! Cute cards Rachel! I especially love the dinosaur! These cards are all so so cute! The Dino card is my favorite. These are super cute!!! The car is probably my favorite! Just super cute Lawn Fawn goodness with some amazing coloring!